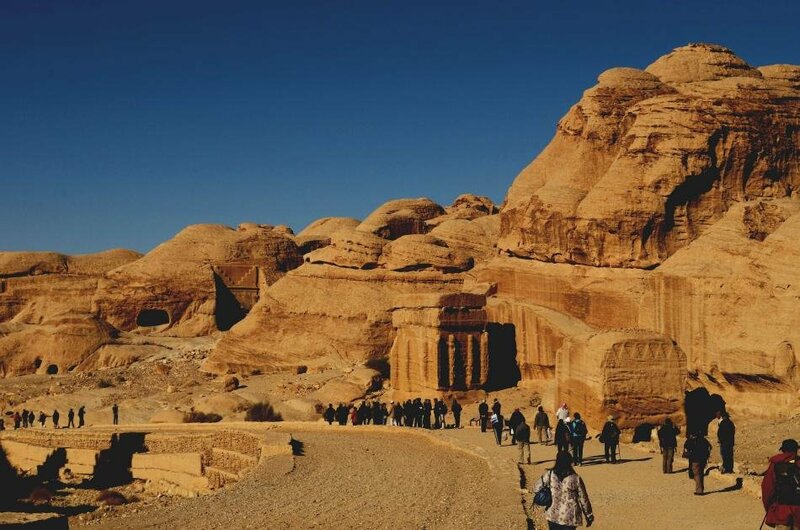 Situated between the Red Sea and the Dead Sea in the Hashemite Kingdom of Jordan, the Nabatean city of Petra is considered among the Seven Wonders of the World. 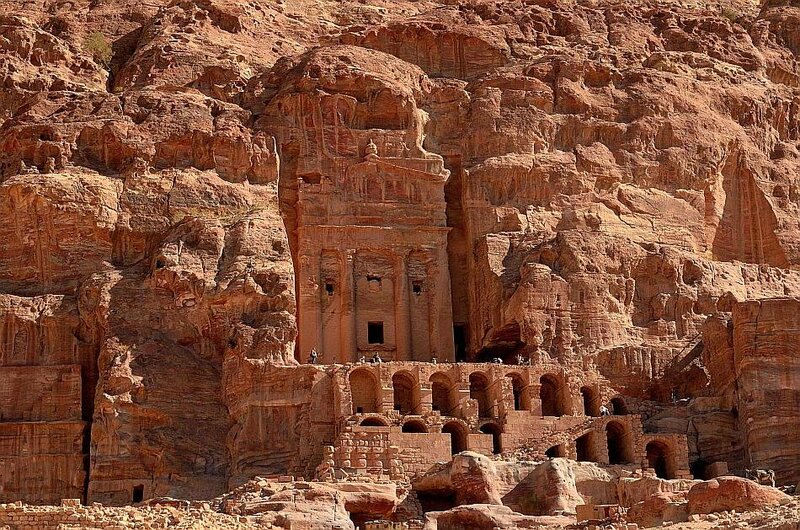 In the description of the “universal outstanding value” of this World Heritage Site, UNESCO describes the ancient city as a “major caravan centre for the incense of Arabia, the silks of China and the spices of India, a crossroads between Arabia, Egypt and Syria-Phoenicia.” The poet John William Burgon memorably described the spellbinding ruins of Petra as “a rose-red city half as old as time.” Around AD 663, an earthquake destroyed parts of Petra and choked water supply, leading to its abandonment. 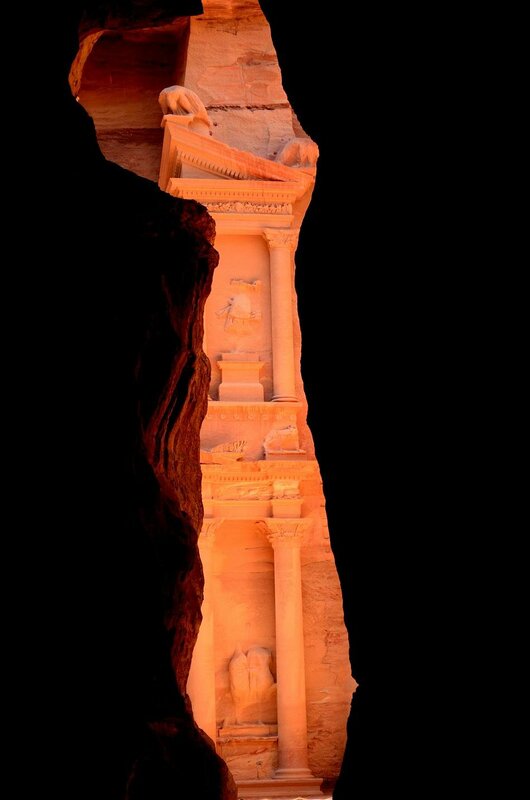 The city remained lost to the world until the Swiss explorer Johann Ludwig Burckhardt, in the guise of an Arabic scholar, rediscovered it for the Western world. 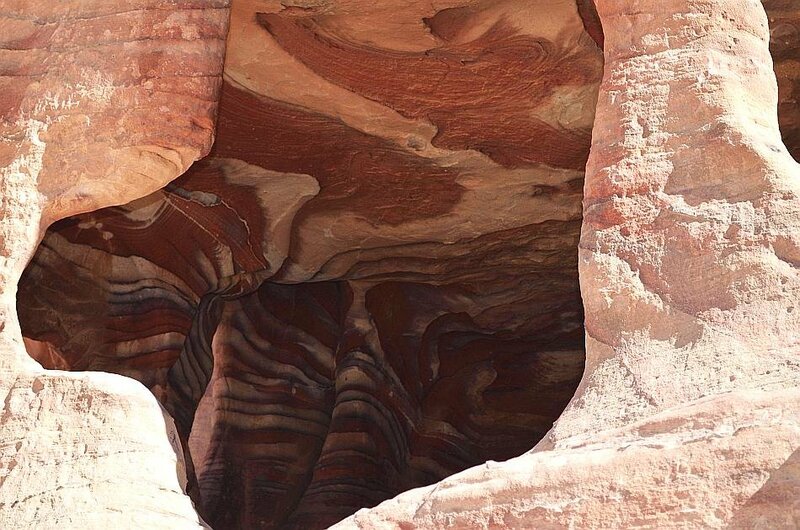 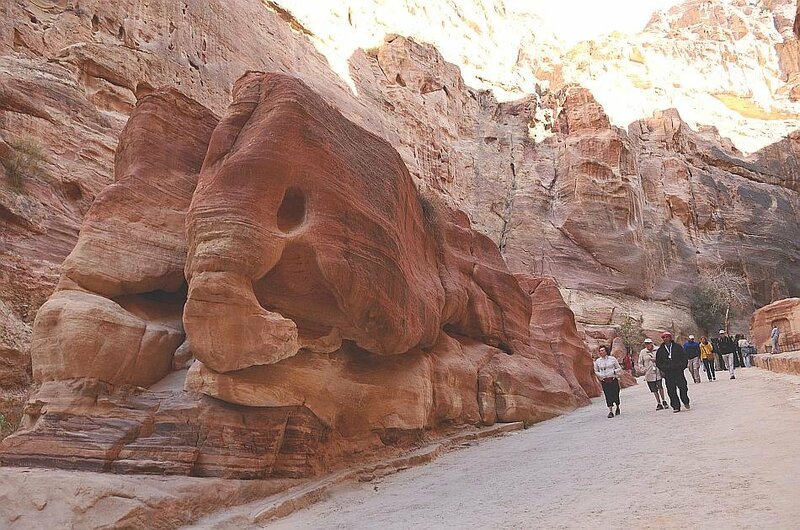 LAKSHMI SHARATH takes you on a visual tour of the awe-inspiring ruins of Petra. 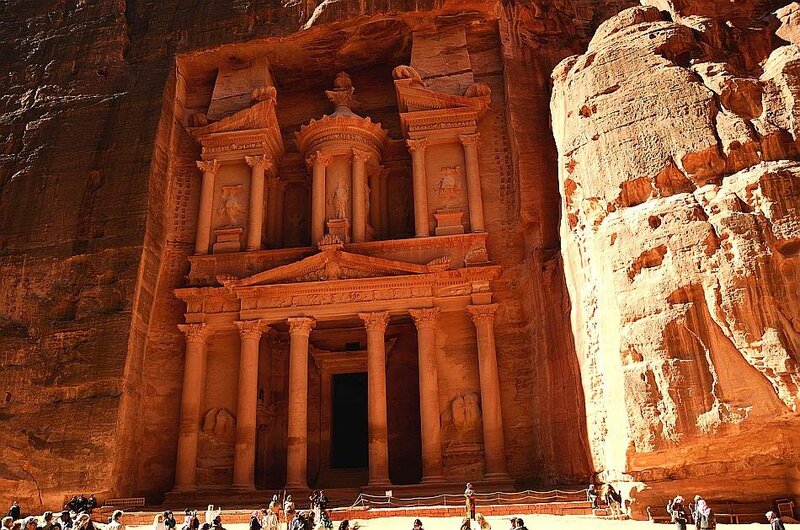 Petra, a world hidden within the mountains of Jordan, was built several centuries ago. 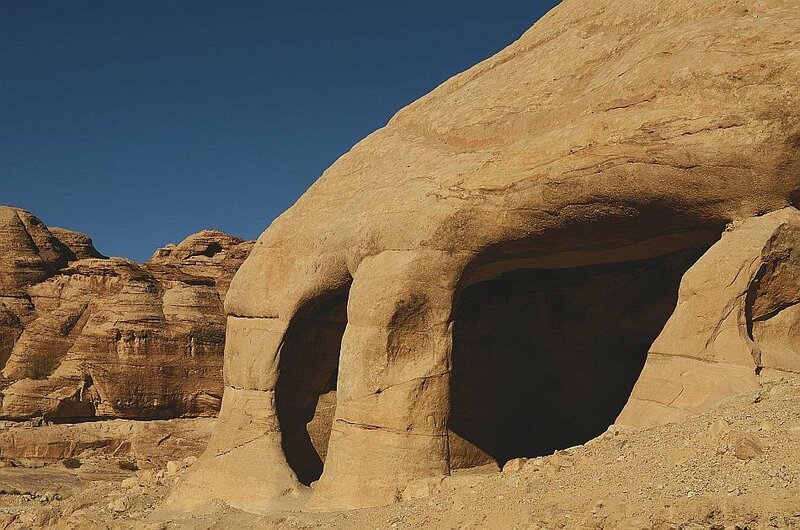 This ancient "caravan city" was the capital of the Nabataean Arabs, an ancient Semitic race of people who inhabited Jordan. 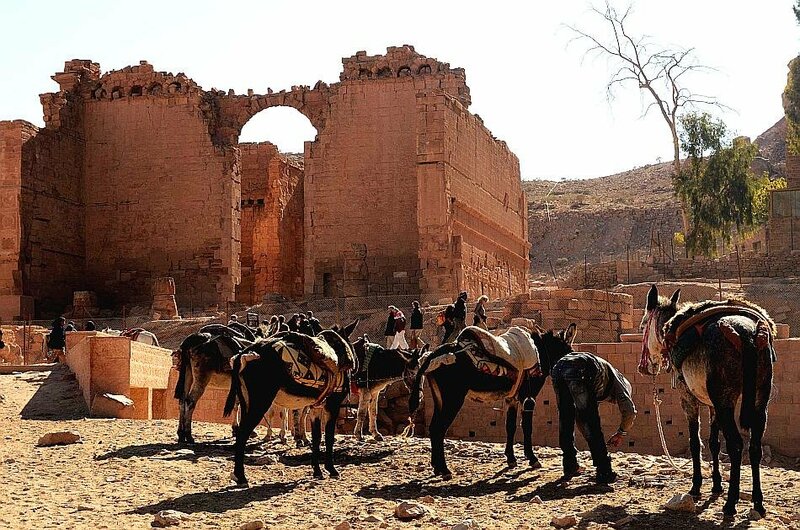 They were mostly traders and agriculturists.